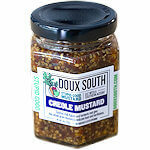 Doux South uses a red wine brine and pairs it with brown and yellow mustard seeds; the result is a tipsy mustard that makes a visual statement. 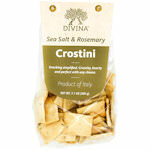 Try it in your salad dressing, with cheese or meat. 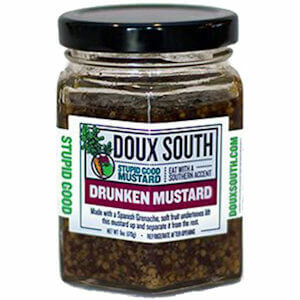 When you're into pickling, you know that brine may be used for so much more than just pickling and Atlanta based chef Nick Melvin, co-founder of Doux South knows that very well. 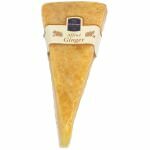 Ingredients: White vinegar, sugar, water, brown mustard seed, yellow mustard seed, red wine, salt.